Published: Dec. 2, 2016 at 10:25 a.m.
Scouts want to see prospects deliver in the biggest moments, so they'll be keeping a particularly close eye on how players fare in conference championship games this weekend. Here's a look at the top 10 talents that will be under the microscope. 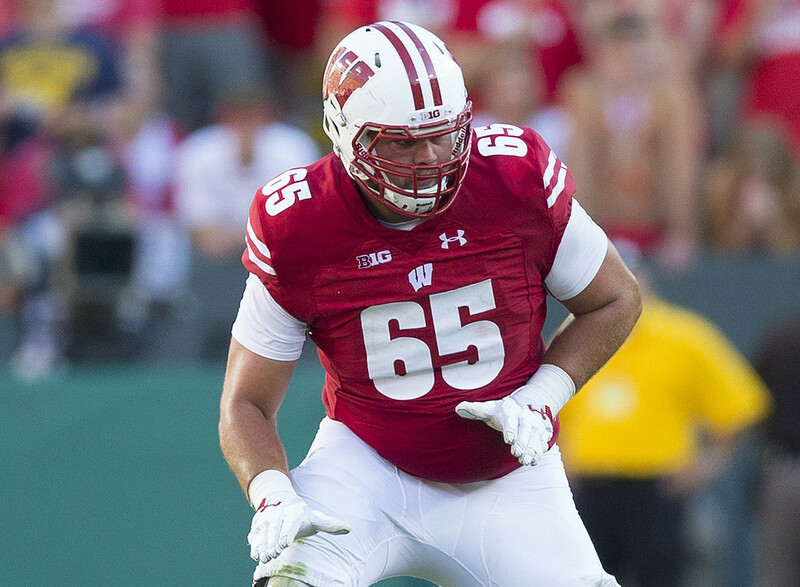 The Big Ten Championship Game doesn't have either of the league's top-rated teams, but NFL general managers will certainly be checking out the talent in Indianapolis, starting with the Badgers' junior left tackle. Ramcyzk must hold off Penn State's pass rushers -- PSU ranks 12th in the nation with 37 sacks). He's apt at controlling his man to seal the edge in the run game for running back Corey Clement and Dare Ogunbowale. Scouts see Ramczyk realizing his potential, and he should only get stronger while maintaining his athleticism. Playing well in this matchup will boost his stock even more. The battle of Ross and fellow stud receiver Dante Pettis against Colorado's senior-laden secondary (Chidobe Awuzie, Ahkello Witherspoon, Tedric Thompson) will be a great watch. Ross is known for his speed and agility, and he's shown an ability to beat the jam with his hands. If he can win at the top of his route as well as downfield with speed and a bit of physicality against the Buffaloes' talented defenders, scouts will swoon. Westbrook has run past just about every cornerback in the Big 12, not only with great straight-line acceleration but a nifty running style that allows him to win the seam against bracket coverage, too. Sooners quarterback Baker Mayfield deserves some credit for Westbrook's ascent, as someone has to get that ball downfield. However, Westbrook, a former junior college receiver, has become lethal with his double moves and strong hands. His 19.3 yards per reception is the highest average among receivers with 60 or more catches this season. Westbrook is a big play waiting to happen -- and NFL scouts probably won't have to wait long to see him make that big play against Oklahoma State in the de facto Big 12 championship game. Size and physicality are Wilson's calling cards, so it will be interesting to see how he handles the speed and agility of Alabama receivers Calvin Ridley and ArDarius Stewart. If Tide quarterback Jalen Hurts tests Wilson downfield, the junior corner has the leaping ability and ball skills to make the freshman pay. He'll also need to show up in the run game, preventing Hurts and RBs from breaking loose outside. The same goes for Wilson's partner across the field, Teez Tabor, another top defender who will challenge offensive coordinator Lane Kiffin's passing attack. The leader of the Tide's defense is more explosive this season after losing some weight. Now, he's capable of playing in most NFL schemes because he's an instinctive player who can cover a lot of ground. While he doesn't have elite speed, Foster's smart in coverage and will securely tackle running backs and receivers coming into his zone. Whether he's blitzing in run or pass situations, the senior is stout enough to eat a gap and quick enough to explode through an open lane. In short, he's a likely top-15 selection who will start from Day One at the next level. Williams, at times, looks like the league's next great pass rusher. The senior should excel at the NFL Scouting Combine with his combination of size and athleticism. Indeed, it will be easy for coaches to fall in love when they see his highlights. Saturday's SEC Championship Game will be a great opportunity for the rush linebacker prospect to show he can attack the quarterback, as well as play assignment-sure against the run. As the season has progressed, Robinson has become more dominant. His pure size, strength and aggression off the snap allow him to own the edge in the run game. Pass rushers can forget about bull-rushing him -- they won't be successful. Robinson has improved his ability to keep quicker ends from turning the corner on him, as well. While he will overextend, losing his balance on occasion, he's limited those instances to become an excellent left tackle. Williams looked like the best receiver in the country last week against South Carolina. In scoring three times in the first half, he showed all of the traits a scout would want to see in a receiver. He high-pointed a 50-50 ball in the end zone with strength, hops and body control. Then he scored again by carrying a defender on his back (literally) five yards into the end zone. Williams finished off the trifecta by using speed, agility and strength (again) to slice through traffic. He's taking on a tough Virginia Tech secondary this week, though. Williams and Deshaun Watson will need to be in sync again if the Tigers want to win the ACC title. Watson looked like an NFL quarterback last week against South Carolina. He ran the offense efficiently from the pocket, showing touch on deep passes and darts over the middle. If Watson plays like that against Virginia Tech's staunch defense (Va. Tech ranks 19th in total defense; South Carolina ranks 63rd), and doesn't make the mistakes that have plagued him at times this year, he'll get his team into the College Football Playoff and impress NFL scouts. The nation's top defender won't have to play on every down in the SEC Championship Game given the depth Alabama has up front. When he's on the field, though, the Gators' offensive line has to account for him. They will see him rushing the passer from inside and outside, containing vs. the run, and even chasing down plays from behind if given the chance. Even if Allen doesn't rack up tackles or sacks, you can bet he'll be around the ball on nearly every play.